I shop at Costco. And when I say I shop at Costco, I mean I do more than buy a ridiculous amount of food in equally ridiculous quantities. I also buy gifts for every holiday, decor for my home, electronics, and random stuff I didn’t know I needed but totally did. The best finds, however, are in the clothing aisles. Because contrary to what most people think, Costco knows fashion. Because for me, buying my clothes at Costco is one of the most brilliant life hacks I’ve discovered to date. It takes a little elbow grease to dig through the piles of clothes, and it doesn’t look quite as sassy-cute as something I’d find at Ann Taylor Loft, but it’s good enough. And that’s what life hacks are all about. Good enough. This is super-tricky for women because we aren’t taught to see “good enough” as, well, good enough. We’re taught to strive for perfection. In everything we do, from the roles we fulfill (perfect mother) to how we look (perfect body) to what we wear (perfect outfit). So for me, buying clothes from Costco – being a Costco Fashionista if you will – is my way of practicing good enough. Life hacks like buying clothes at Costco are tiny acts of rebellion. Brave choices you can take as a woman to liberate yourself from perfection. Which is really just a bunch of unrealistic expectations and outdated gender roles that come with being female. I mean, have you ever met a man who struggles with perfection? And if you feel guilty about it, do the math. For women who work outside the home, you can calculate how much it actually costs you to clean your house. Now add in the opportunity cost of not doing other things (like enjoying your life) and it turns out hiring a house cleaner is actually saving you money. And for women who stay home with their kids, you more than anyone need and deserve a house cleaner. It’s all you can do to keep up with your children’s craft-art disasters and self-reproducing toy piles, let alone the dirt and grime that naturally accumulate in a house. So stop cleaning your own house. Or stop doing it so well. Did I mention that Costco also makes delicious meals that, when coupled with a fresh veggie or salad, make you feel like the most responsible wife and best mother ever? Costco. It’s what’s for dinner. Homemade meals are overrated. 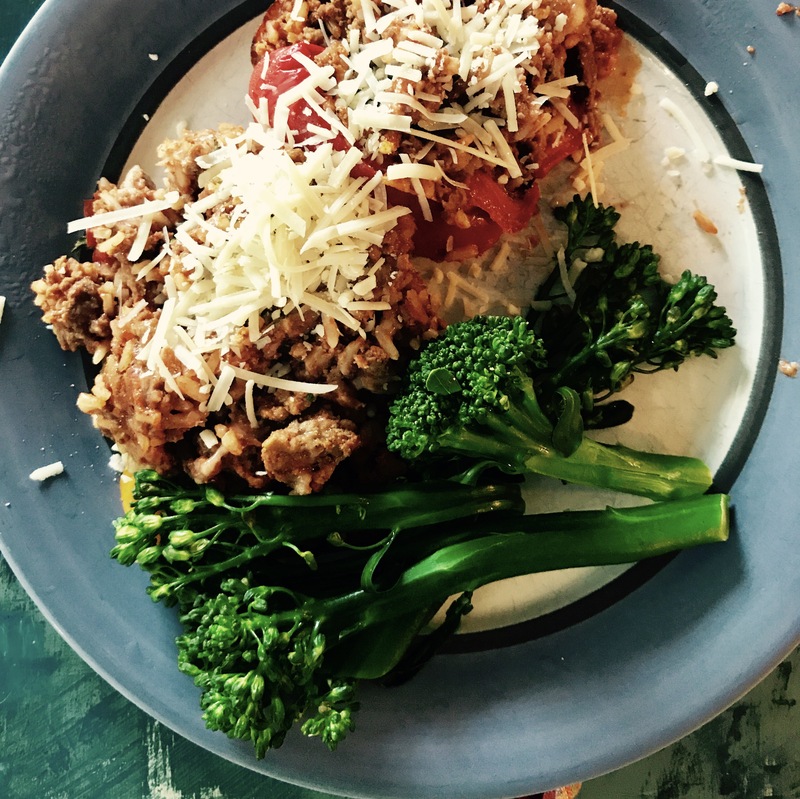 Just ask my kids who much prefer stuffed peppers with a side of broccoli to anything I could make for dinner. Orchestra recitals, soccer practices, kids’ birthday parties, and swim meets fill up my children’s schedules and, by default, my own. So I attend their activities but now, rather than covertly checking email or texting one of the other mothers, “OMG why didn’t I bring a flask?” I make sure to schedule phone dates with my girlfriends. My kid knows I’m there (good parent – check), and I am actually enjoying myself. Sometimes I’ll talk for hours with my girlfriends, usually with a very important look on my face. Is she talking to the doctor? Someone at work? Arguing with her husband? No one knows, and that’s the hack. I realize this doesn’t make me sound like a perfect parent. And maybe that’s a good (enough) thing. Life hacks are beautiful and courageous. So rather than feel guilty about not making a homemade meal or spending hours cleaning your house, feel awesome. Pat yourself on the back for being brave. Sharing is caring. Send this to a girlfriend who is good enough. Or shops at Costco. She’ll thank you for it. Oh, and please help pick out next week’s topic! Survey below.